The human brain is visibly split into a left and right side. This structure has inspired one of the most pervasive ideas about the brain: that the left side controls logic and the right side controls creativity. And yet, this is a myth, unsupported by scientific evidence. So how did this idea come about, and what does it get wrong? Elizabeth Waters looks into this long held misconception. Anderson’s team examined brain scans of participants ages 7 to 29 while they were resting. They looked at activity in 7,000 brain regions, and examined neural connections within and between these regions. Although they saw pockets of heavy neural traffic in certain key regions, on average, both sides of the brain were essentially equal in their neural networks and connectivity. “We just don’t see patterns where the whole left-brain network is more connected, or the whole right-brain network is more connected in some people,” said Jared Nielsen, a graduate student and first author on the new study. 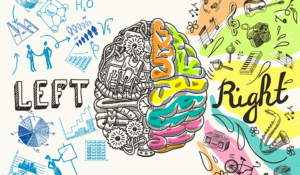 The myth of people being either “left-brained” or “right-brained” might have arisen from the Nobel Prize-winning research of Roger Sperry, which was done in the 1960s. Sperry studied patients with epilepsy, who were treated with a surgical procedure that cut the brain along a structure called the corpus callosum. Because the corpus callosum connects the two hemispheres of the brain, the left and right sides of these patients’ brains could no longer communicate. Sperry and other researchers, through a series of clever studies, determined which parts, or sides, of the brain were involved in language, math, drawing and other functions in these patients. But then popular-level psychology enthusiasts ran with this idea, creating the notion that personalities and other human attributes are determined by having one side of the brain dominate the other. The neuroscience community never bought into this notion, Anderson said, and now we have evidence from more than 1,000 brain scans showing absolutely no signs of left or right dominance. Anderson said he wasn’t out to do some myth busting. His team’s goal is to better understand brain lateralization to treat conditions such as Down syndrome, autism or schizophrenia, where the left and right hemispheres have atypical roles. 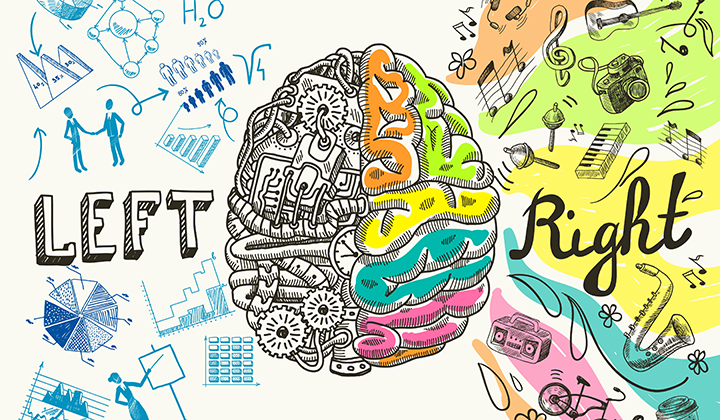 So, should you trash your app that tries to determine if you are a left-brain or right-brain thinker? Both sides of your brain, as well as neuroscientists, say yes. This is especially important for us educators who tend to analyse children’s strengths based on this myth. It is now important for us to ensure that we discuss learning abilities and disabilities along these research lines so we are critical in suggesting remedial actions and activities. This is new learning for us. The more educators understand how the brain works, the more motivated we are to apply new techniques and methods in reaching people who have perceived special learning needs. It encourages us to keep trying especially as we learn that through a combination of patterns. This provides insights to the adaptiveness of the brain and a welcome understanding. We love learning at The Learning Craft. Watch this video for a good analysis.